I loved Devouring Flame by E.J. Russell. It’s the thirty-fifth book in the Dreamspun Beyond series and the second book in the Enchanted Occasions series. I love how unique this book is and the world that the author had made. I love that there’s a company out there the paranormal community can hire to plan their special occasions. In this book, Enchanted Occasions Event Planning is hired to cater a huge feast for a convention of vampires for their one day out of the century they can consume something other than blood. But like in the first book, Nudging Fate, things do not go as smoothly as they should. Smith is a half-demon tech specialist for Enchanted Occasions Event Planning. As a half-demon, he has an inner flame that has to be feed to keep him alive. If the flame goes out, then he will die also. If he were a full demon then he would be able to recharge it himself, but his human genes keep him from being able to do that, and so he needs to consume severely charred meat to keep his flame alive. There was one other way to keep his flame alive, and that is being with another fire demon or ifrit. He’s only had one night with an Ifrit named Hashim of the Windrider clan that he met during an Enchanted Occasions event. On their one literally smoldering night together, Smith revealed his true name—a demon’s greatest vulnerability. When Hashim didn’t return the favor, then split the next morning with no word, the message was received, loud and clear—thanks but no, thanks. While cutting through the Interstices—the post-creation gap between realms—Smith spies the person he yearns for daily but dreads seeing again, Hashim. Although Hashim had burned to return Smith’s trust during their one night together, it was impossible. 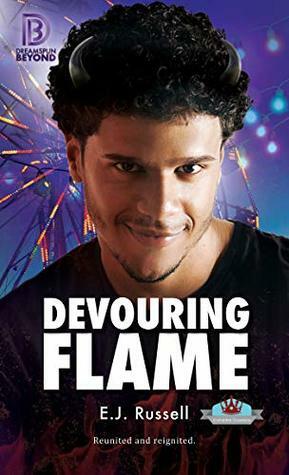 The wizard who conjured him holds his true name in secret, and unless Hashim discovers it, he’ll never be free, as Smith finds out when he sees him performing a fire dance at the interstices Las Vegas Carnival. With their attraction sparked once more, the two unite to search for Hashim’s hidden name, but if they fail, Hashim will be doomed to eternal slavery, and their reignited love will collapse in the ashes. Luckily Smith is the guy who gets stuff done, and Hashim is never afraid to heat things up. To make things even more complicated, they have to contend with a convention full of food-crazed vampires on the one day out of the century they can consume something other than blood, a Ringmaster, and finding out who’s hunting and trying to kill Hashim’s friend Rion, a Minotaur and fellow carnival attraction. I loved Rion. He was huge and scary looking and didn’t have any friends but Hashim, but he was the most innocent and friendly Minotaur. I loved getting to know him and hope that he gets his own book in the future. If you read the first book in the series, Nudging Fate, and enjoyed it, I recommend reading this book, Devouring Flame. I enjoyed it just as much as the first one. I used to think vampires were extinct, but it turns out, they’re merely hiding. When my pack stayed with some vamps a while back, I couldn’t believe how prickly and rude they all were… all but one: Dregan. I met him and my wolf went crazy, wanting to be close, wanting to rub up on him, wanting to bite him. It makes no sense. Vampire blood and shifter blood don’t mix. In fact, I’d never survive if I ever get a taste of what I so desperately desire. But I can’t get that vampire out of my head, even weeks and months after we left him. When a little wolf caught my attention, I was surprised but intrigued. The more time he spent in my den, the more I wanted him to stay close. This little innocent wolf was driving me mad, making me want a little taste. But there’s a reason my den has been hiding for hundreds of years, and no matter how badly I crave that little wolf, I can’t have him. I couldn’t risk him getting hurt just to satisfy my needs, so I let him go. Though, nothing I do will make me forget how good he smelled, how delicious I know his blood would taste. 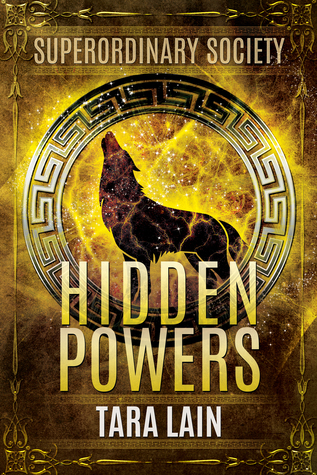 With something cruel and dark hunting Dregan and with Chris’s pack hiding from an evil force, will they ever be able to come together and help one another? Or will they let the evils of the world overtake them and let fear overshadow their desires? Dregan is a vampire, an Elder. He’s the oldest vampire in the world and suffered a life of pain and loss because of the Dark Witch until he meets a certain wolf. Christopher is a member of the Airlin pack. He’s quiet and overprotected by his pack mates. Until he meets a certain Vampire. When the Dark Witch tracks Christopher down in order to hurt Dregan, the pack will be separated from them, and Christopher and Dregan will start a journey together to find Chris’pack and maybe themselves in the process. 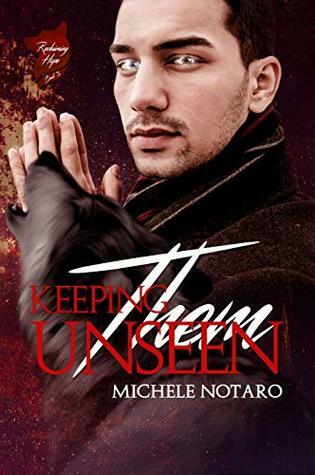 Keeping them Unseen by Michele Notaro is book 3 of the Reclaiming Hope series. I adored this book, just like I adored the two previous. Dregan is an Elder vampire, he’s the oldest among his kind. He seems to be cold and standoffish except when he’s with Christopher. The young wolf brings out the best side of Dregan, one that no one knows except maybe his fledgling Jael. I completely melted for Dregan, he lived a life full of pain, suffering and loss. He broke my heart. I loved how, despite all his pain and sorrow, he still has hope for the future. His meeting and relationship with Christopher is what will save him really. I loved him. Chris is quiet with a big heart. Because of what happens to him at the hands of the SOB of Gregory (“How we Survive”: Reclaiming Hope #1), his pack mates overprotect him. But when Chris meets Dregan, he will have to stand up against his pack and the other vampires. Christopher is one of my favorite members of the Airlin pack with Zeke and Felix (can’t wait to have their stories btw). He’s quiet and sensitive with a big heart. I adored how he is with Dregan. He’s sassy, fights back without hesitation and very protective of him. I was rooting for them since the beginning of their journey. I really loved this book and this series. Michele Notaro is brilliant and talented. She created a complex world between the humans, vampires, shifters, spellcasters and the worst, the Dark Witch. Each book is about a couple in the main plot, but all the books are connected together with the war in the background and Felix’s quest about his curse. She brilliantly merged all of it together without getting confusing for the readers. The characters are fabulous, well developed and complex. They are humans even if they are supernatural. This series is, in my opinion, one the best paranormal series in this genre. A series that we should have in our PAL if we’re fan of this genre. I gladly recommend this book and the whole series. You won’t regret it at all. 5 OptimuMM for the Vampire and his little wolf. Rushing into things isn’t always wrong, no matter what everyone says. Sei has had enough of dodging his mother’s and his aunt’s attempt to arrange a bonding for him since Clea mated with Christian. They don’t see a reason for him not to bond with someone they choose, but he doesn’t care about traditions. He wants the real deal when it comes to mating—love, lust, and a happily ever after. Donovan is the liaison between the pack and the government. His job isn’t running around Washington rescuing street kids, but he wants to help the pack, and those kids. The last thing he expected from his impromptu mission was to meet his mate. 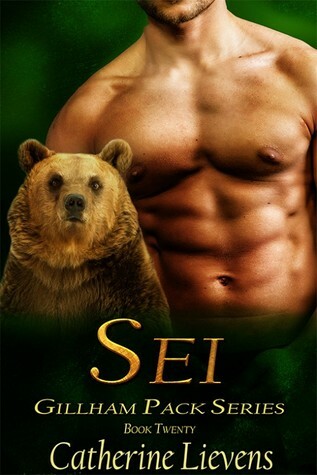 When Sei is overwhelmed by a crowd of reporters who have come to Gillham to find out more about shifters, he’s rescued by a bear shifter. He recognizes Donovan as his mate only once Donovan shifts, and he doesn’t let the occasion slip away. They mate within hours of their first meeting, but Sei hadn’t considered the complications that would come with it. The attacks on the pack are escalading, Donovan’s son is vehement about his dislike of Sei, and Donovan doesn’t know what to do. Will he have to choose between his mate and his son? What can he do to keep the pack safe? Will this be the time when everything falls apart? Sei is the twentieth book in the Gillham Pack series by Catherine Lievens. Each book is about a different couple who find their mates but they do have a storyline and plot that thread them all together so reading them in order isn’t necessary, but I do find it enhances the reading experience when you know who the sub characters are that they are talking to. The book was well written and had all of the elements that I have come to expect from a Catherine Lievens’ book. Sei is twenty-nine, a nix, and a nurse. He’s been dodging his mother’s and his aunt’s attempts to arrange a bonding for him since his cousin Clea mated with Christian, leaving the female that Clea was supposed to be bonded with available. 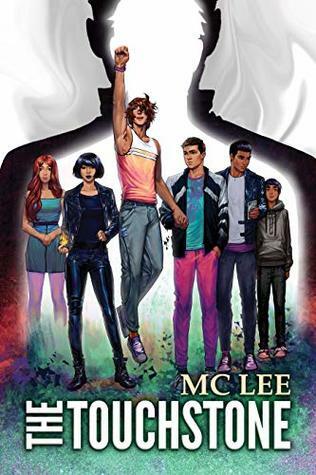 The only problem is that Sei is gay just like Clea is, and he wants the real deal when it comes to mating—love, lust, and a happily ever after. When he’s overwhelmed by a crowd of reporters who have come to Gillham to find out more about shifters, he’s rescued by a bear shifter. At first, he isn’t aware that Donovan, the bear shifter, is his mate until after Donovan shifts into his human self, and he doesn’t let the occasion slip away. They end up mating within hours of their first meeting. Donovan is eighty-five, a bear shifter, and the liaison between the pack and the government. His job isn’t supposed to be running around Washington rescuing street kids, but when a call comes in from the hotline, he ends up being the one to go and pick them up. Little did he know that he would end up rescuing his mate also. But now he needs to decide what to do about his job now that he has a mate and how to introduce him to his kids. And he already knows that that’s going to be a lot of fun, not. Since his kids, even though they’re grown, still have hopes that he will get back together with their mom. They also won’t be crazy about the age difference between him and his mate. With the escalation of the attacks on the pack, Donovan will do all that he can to keep his mate and his new pack safe. I loved the book. It had just the right combination of heat, angst, action, and drama. And since I actually started reading this series with the next book in the series, I already know what’s going to happen. I wasn’t disappointed, and I’m sure that you won’t be also. Now I just need to read the first twenty books in the series.